There are a key sectors in focus. Without a doubt, the key sector to watch in March and April are the banks, which have once again disappointed the masters-of-the-universe crowd that said they were the place to be. Instead, banks, which already looked awful before the Fed decided no more rate hikes, seem extremely vulnerable now. I’m not sure there aren’t issues affecting banks that few understand or realize. They were able to sell all their junk debt to the Federal Reserve, and while Dodd-Frank hurt smaller banks, the reason why the large banks continue to struggle remains a mystery. Now, the question and worry is about how much of the problem at banks reflect greater problems with the American economy. There was a time when that would be obvious, but there was also a time when banks gave out toasters and made Main Street loans. I believe tech will continue to outperform, but Communication Services will be the biggest winning sector in 2019. It must be noted, however, that the semis will probably remain very volatile. Meanwhile, Xerox (XRX) continues to rally as the best performer on speculation of receiving a takeover bid. Still, every investor must be overweight in Technology. 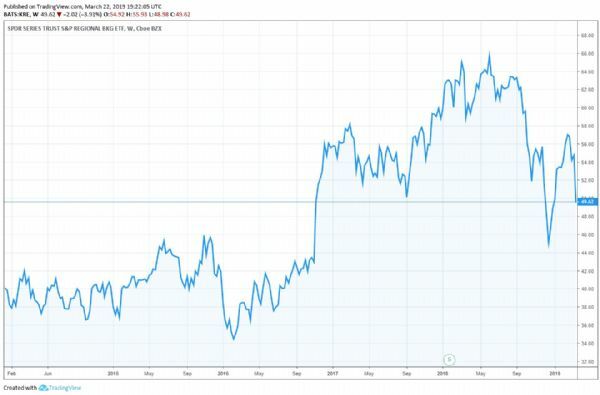 Powered by Netflix (NFLX) and Electronic Arts (EA), this sector should continue to rally as both those stocks and others like Twitter (TWTR) and Facebook (FB) also climb walls of worry. At some point this year, I see the index at 60.